Recently released from prison, Beth (Julianne Nicholson) works with her public defender to get her son back from her sister who was awarded legal custody when she was incarcerated. As she navigates her way back into the outside world, Beth falls into a romantic fling with a traumatized Marine afraid of human connection and at the same time forms an unlikely alliance with a headstrong young woman (Emma Roberts) on the public defense team who decides to take on her cause whether Beth likes it or not. These two people challenge, and eventually crack, Beth's tough exterior, making her realize that who she is isn't about where she's been, it's about where she's going. 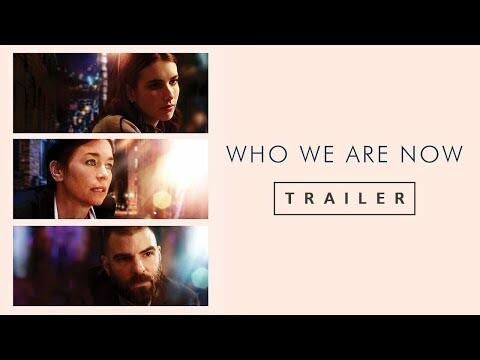 Who We Are Now was released on Blu-ray, DVD and VOD 255d ago in the US. Notify me when Who We Are Now is available. Based on 5 Who We Are Now reviews, Who We Are Now gets an average review score of 81. Matthew Newton's well-turned indie drama follows an ex-con who seeks custody of her son after a 10-year prison stint. Superbly acted and confidently shot, Who We Are Now delivers substantial dramatic pleasures while posing pertinent questions. Julianne Nicholson ('August: Osage County') is given a starring instead of a supporting role as a woman struggling with the past in this indie drama co-starring Emma Roberts.